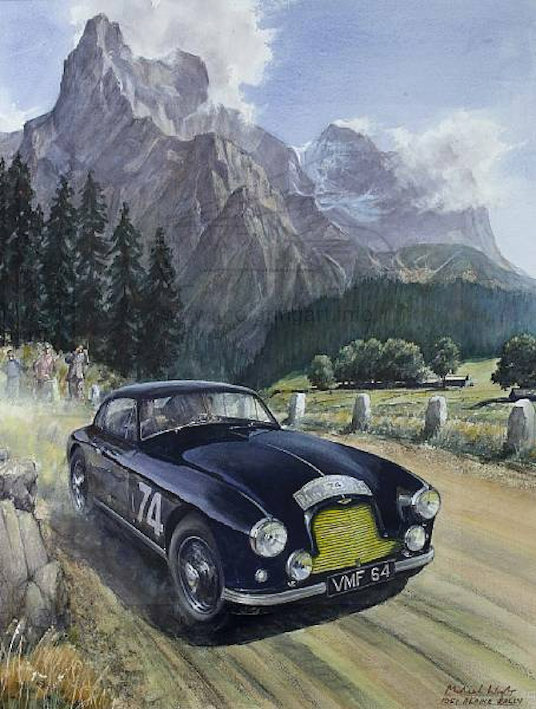 Well known motoring artist who mainly works in watercolours which give a bright colourful appearance. 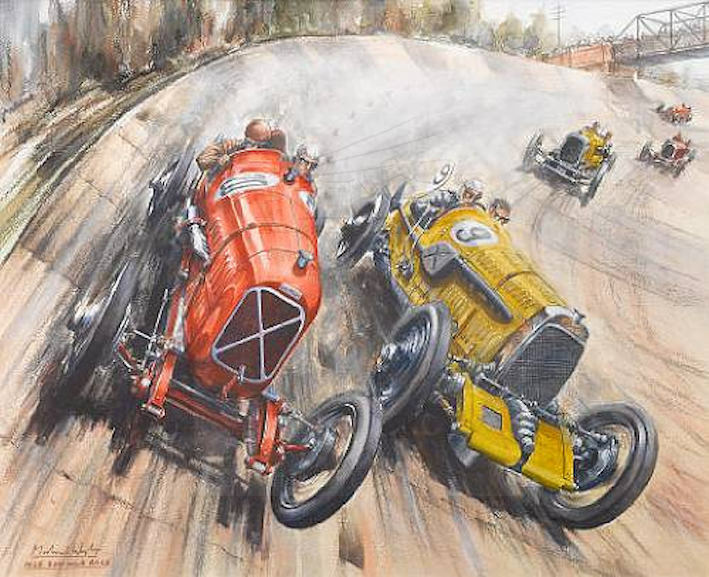 He started focusing on automobile art in 1967, in parallel with a career in the oil industry. His early period art tends to use darker colours. 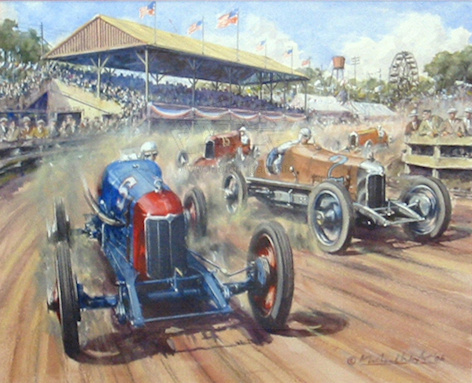 Michael Wright’s art is popular in the USA and his paintings have been used in several books about American motor racing. 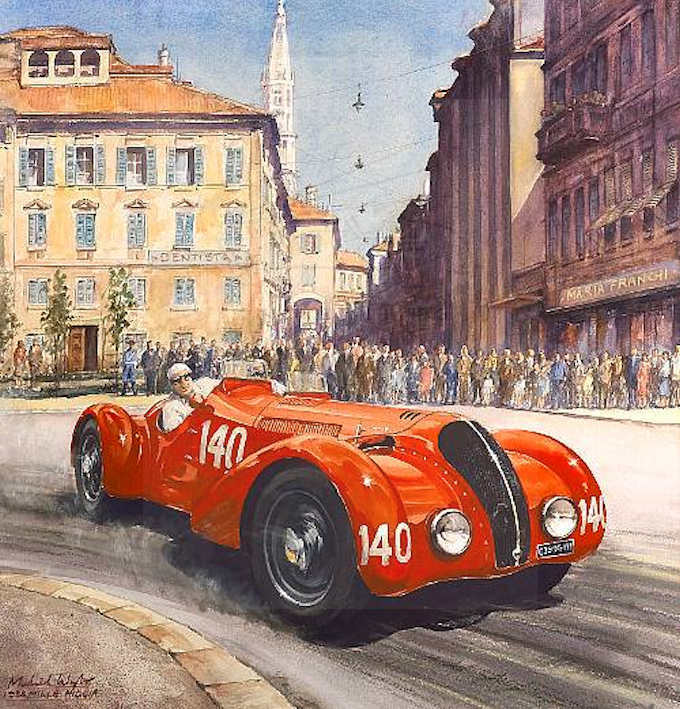 Most of his work has been sold as commissions or through major salerooms such as Bonhams Christies, and Sotheby’s.